Leeds United's manager, Marcelo Biesla, today called an impromptu press conference to explain the 'spy-gate' saga that has embroiled the club. Speaking through a translator, the former Argentina boss once again took full responsibility for the incident, declaring "the club and my staff" had no involvement in last week's act of espionage. But he struck a defiant tone, insisting: "What I’ve done is not illegal. "It’s not specified, it’s not described. We can discuss about it, but it’s not a violation of the law. I know not everything that isn’t illegal is not right to do. "Of course if you observe something without authorisation of the person involved, we call this spying. I can’t say this is the right thing to do, but I’m going to try to explain I didn’t have bad intentions. "I did it because it was not illegal and it was not violating a specific wrong." Bielsa added that commentators have said he "violated the fair-play rules, so I have to adapt to the rules of English football". He went on to say that he had sent spies to training sessions of every team Leeds United have played in the Championship this season. 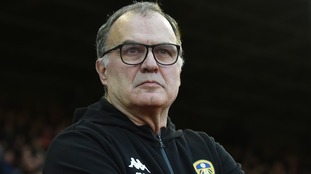 Bielsa said his intention was to capture as much data as possible on the technique of United's rivals. This was then used to inform his own team's training. Bielsa demonstrated the extent of his logging to journalists at this evening's press conference. WATCH: Chris Dawkes reporting from outside the press conference in Thorp Arch tonight (first transmitted live, 16 January 2019).